Some records have themes and concepts, others are built around the radio singles, the aliterate rely on production, but once in awhile, an album is based on the artist growing in life, and the music vicariously lives through those emotions and thoughts. Watching Movies With The Sound Off is an insight into Miller’s life through stories and experiences of him maturing and facing previously unknown human emotions. The predecessor Blue Slide Park is fun and relaxed, like a deluxe sundae. Watching Movies is like a thick slab of prime rib, you have to work your way through grit and fat but that perfect bite of lightly seared beef is worth the trouble. After one full listen through the album, the initial standout element is the production. I found Blue Slide to be slightly repetitive and airy. Mac’s gone with a whole lot more depth this time around. There’s heavy usage of mildly haunting bass lines, layered with distorted synths and unique vocal samples (“S.D.S.,” “REMember,” “Aquarium,” “Youforia,”). Within the similar spectrum, Mac explores the dream pop/soft trance world on “l Am Who I Am,” and “Someone Like You.” The tracks feature smooth, steady instrumentals with full bodied vocal hooks. Then you have your uncategorized like “Red Dot Music,” just a good hearty Hip Hop beat fit for a king, and one of my favourites from the album. When Mac Miller dropped “These Dayz (Dope Awprah),” he received a lot of flack for it, his outside the box thinking and so called ‘ opera’ was considered a step towards falling off. He’s young, he’s going to experiment and toss his emotions around. I dig it. 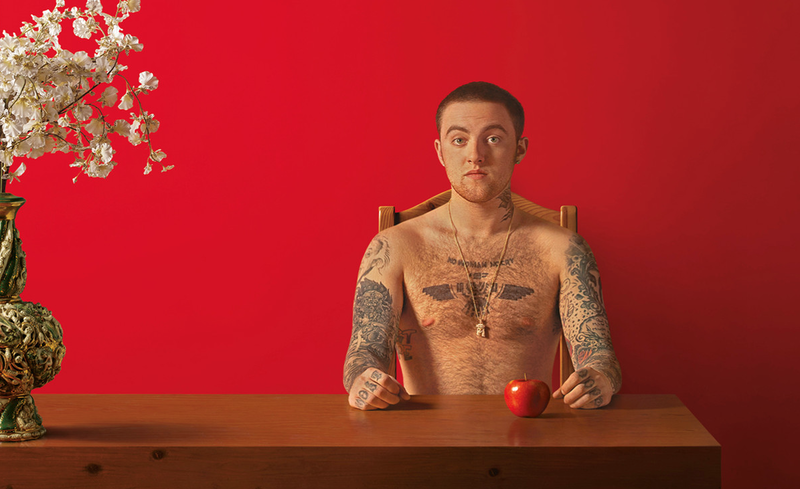 By no means is Mac Miller’s sophomore attempt a home run, but Watching Movies With The Sound Off is a step in the right direction in what looks to be a very fruitful career.